Trump's Acting AG Won't Recuse From Russia Probe - Joe.My.God. 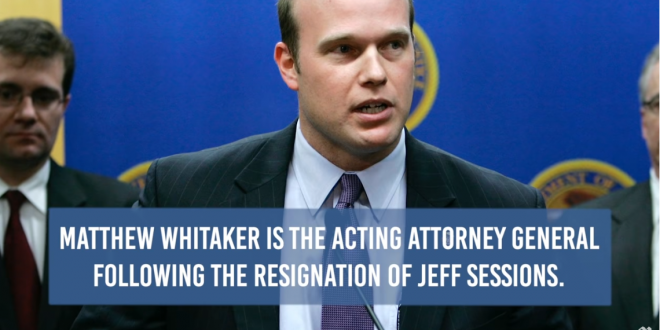 On Thursday, two people close to Whitaker said he has no intention of taking himself off the Russia case. Ethics officials at the Justice Department are likely to review his past work to see whether he has any financial or personal conflicts.